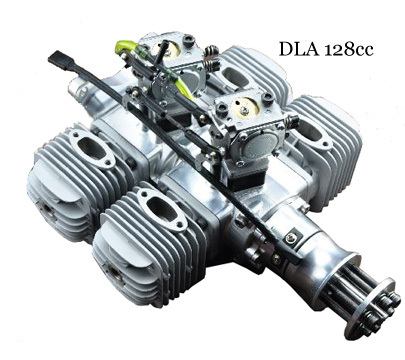 The DLA 58 cc is the ideal Sport and Competition engine for aircraft 14 - 20 pound and < 90" Wing Spans. 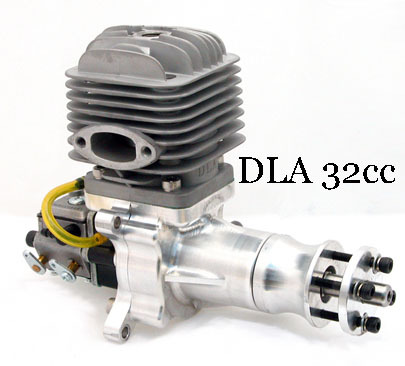 It excellent power to weight ratio and low entry price, makes it the most attractive engine in its class. Stand-offs and Muffler includes. 3-yr warranty. 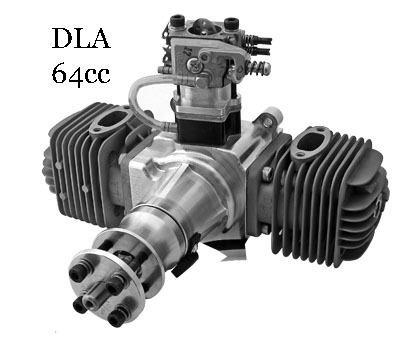 New from DLA, the DLA 64cc Twin Cylinder Boxer engine has greatly reduced vibration as with a single cylinder engine. 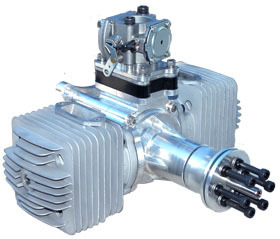 With an amazing 7.2 HP @ 8,500 rpm and 41 lbs Static Thrust, your plane will perform exceptionally. Also available with a Slanted Plug Configuration to fit tight cowls. 3-yr warranty. 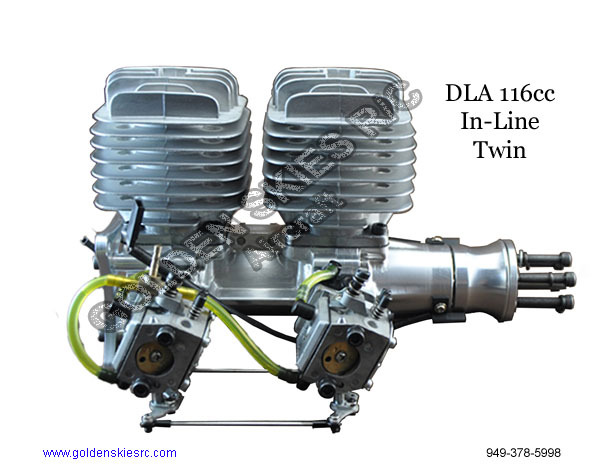 Brand new, the DLA 64cc In-Line Twin Cylinder engine produces more torque than a twin Boxer. 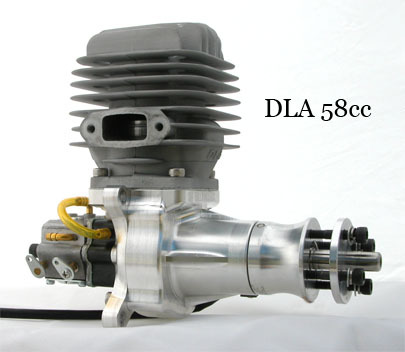 Perfect for narrow cowl aircraft, with an amazing 7.6 HP @ 8,500 rpm and 45 lbs Static Thrust, your plane will perform exceptionally. All parts inclusive. 2-yr warranty. 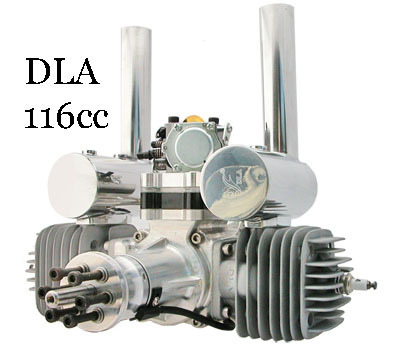 DLA 116cc In-Line is specifically designed for giant scale aircraft with slender cowls. 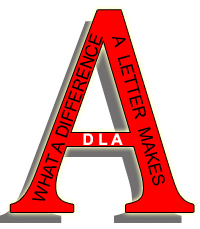 Powerful, lightweight, easy to adjust and operate, and it provides years of outstanding performance. Complete with Dynamic Ignition, Muffler, Mounts and Plugs. 2-yr warranty. 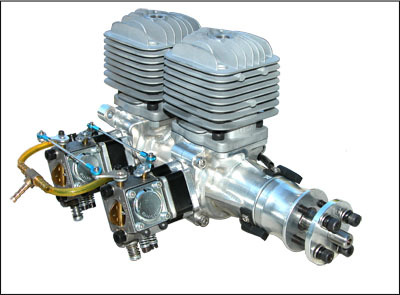 The 180cc Twin Boxer is perfect for 30-40% IMAC, and Scale Model Aircraft. With its high torque, large props are accelerated easily, and the sound roars just like the full scale engine. The ~ " plug-cap to Plug-cab dimension fits into most 35-40% IMAC and 1/4 scale models with ease. 2-yr warranty. 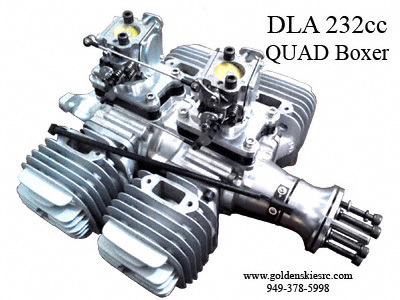 The 128cc Quad is perfect for Scale Model Aircraft. With its high torque, scale props are accelerated easily, and the sound roars just like the full scale engine. The ~ 11" plug-cap to Plug-cab dimension fits into most 1/4 to 1/5 scale models with ease. 2-yr warranty.